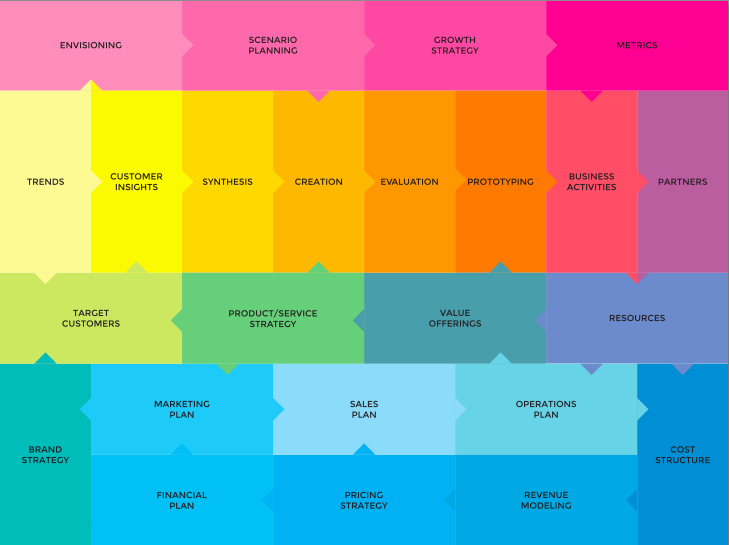 Each of the disciplines – brand, design thinking, innovation management etc.- have overlapping approaches. What if you merge different disciplines into a unified multidisciplinary approach? See here his multidisciplinary approach that guides businesses on what and how to innovate and grow. I truly like the thought of breaking through the existing silo’s and merging visions and disciplines. A good attempt to find a new approach where you have an overview of how elements are linked to each other and get the whole picture.